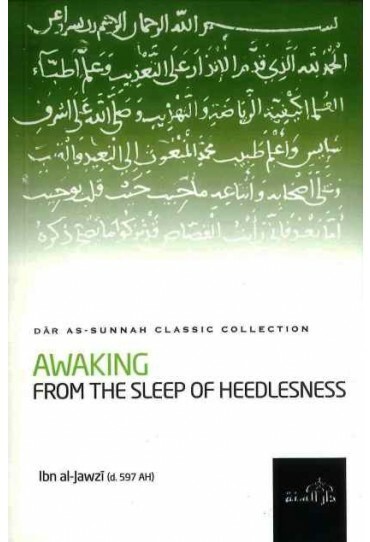 Awaking From the Sleep of the Heedlessness BY Ibn al-Jawzi There are those who submit to Allah,s order and achieve success. Others are wasteful of time and thereby loss and regret. Whoever lives his life in accordance with Allah,s commands, will be rewarded handsomely with multiplied profits beyond imagination. The corrupt one who acts contrarily to Divine Pleasure will be destroyed. This fourth masterpiece in the series expounds on the five stages of life: the first stage of encouraging and disciplining; the second stage of youthfulness, protecting the self and struggling against desires; the third of maturity; the fourth stage of old age; the fifth stage of decrepitude. The onset of these periods may vary slightly from person to person. Nonetheless these five stages are true. This is truly a work of genius.